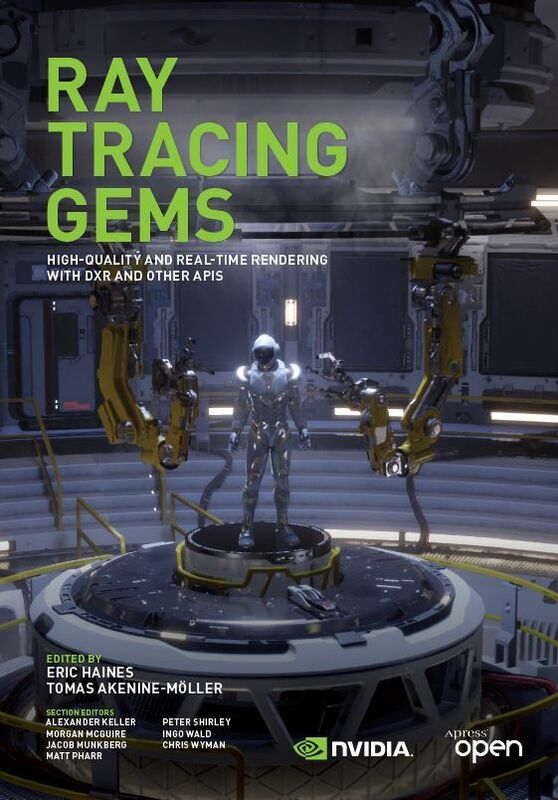 The book Ray Tracing Gems is nearing completion, with the hardback version to be available mid-March at GDC and GTC. 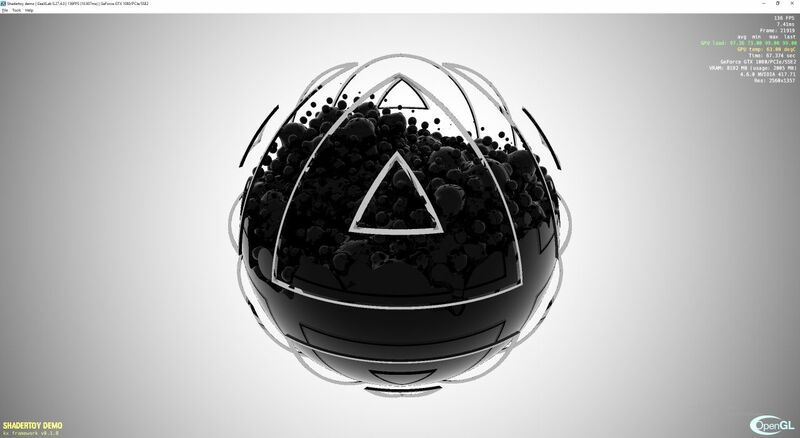 Our main goal with this book is educating developers at all levels about important concepts and the state of the art in ray tracing, with an emphasis on real-time rendering. You can see the full Table of Contents on this site, or order the hardcover version from Apress or on Amazon. As such, we will be releasing a part of the book every few days, as we process them. These chapter are “preprints,” in that they will look a bit different than the publisher’s layout, but the information is the same, barring any last-minute fixes. By the end of February, the professionally laid-out electronic version of the final book from Apress will be available for free (formats to be determined), along with the code repository. Most folks who make games are aware of the various transformations that must take place to render convert a 3d model from object or artist space to screen or pixel space. I think most folks also kind of understand what a projection matrix is. However, I find that many have trouble explaining what each number in a projection matrix actually means. The goal of this article is to take away the magic of those numbers and provide clarity with regards to what each number means in a projection matrix. - GuiLite has 5000 lines of C++ code, providing UI framework for all platforms, could run on iOS, Android, GNU/Linux, Windows, macOS and all ARM Linux IOT platforms. - GuiLite is OS independent, even could run on any kind of MCU without OS. - GuiLite is a embedded UI framework. It can work with Qt/MFC/UWP/XCode, which means you can get not only GuiLite features but also iOS/Android/macOS/Qt/MFC/UWP features as well. - GuiLite can work with other languages(e.g. Swift, Java, C#). Demo Bubble rings ported to GeeXLab. Demo Sonic Fusion ported to GeeXLab. Demo Mist by Ohno! - part2 ported to GeeXLab. 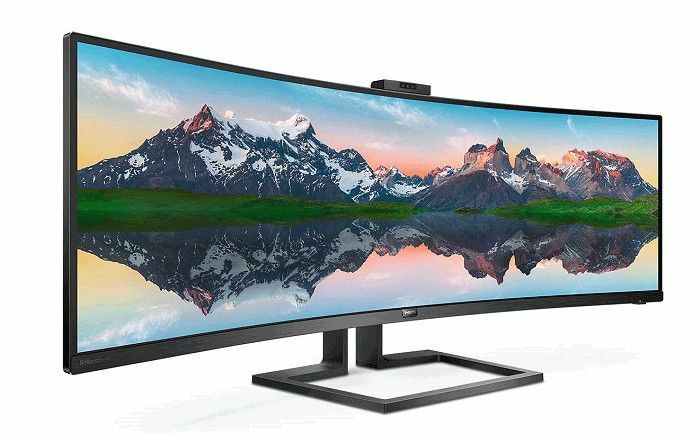 Philips has announced the 499P9H, an ultrawide (5120 x 1440, pixel density of 109 PPI) monitor with a VA panel (viewing angle: 178º H / 178º V, 5ms response time grey to grey) and HDR support (DisplayHDR 400 certified). The monitor includes two speakers (2 x 5W), a webcam (2.0 megapixel FHD camera with microphone and LED indicator), a RJ45/ethernet port, two HDMI ports, one DisplayPort several USB ports (USB-C, USB-B, USB-3.0). The 499P9H will cost more or less USD $1300. All features can be found in this document. 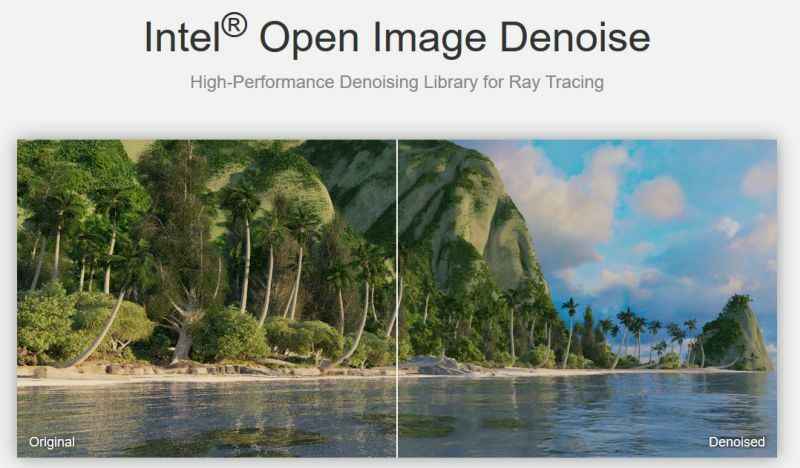 Intel® Open Image Denoise is a collection of high-performance, high-quality denoising filters for images rendered with ray tracing. Open Image Denoise is part of the Intel Rendering Framework and is released under the permissive Apache 2.0 license. 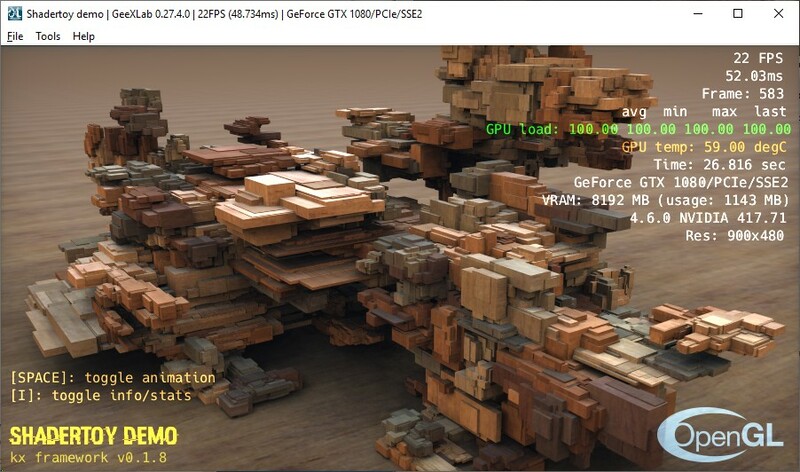 The purpose of Open Image Denoise is to provide an open, high-quality, efficient, and easy-to-use denoising library that allows one to significantly reduce rendering times in ray tracing based rendering applications. It filters out the Monte Carlo noise inherent to stochastic ray tracing methods like path tracing, reducing the amount of necessary samples per pixel by even multiple orders of magnitude (depending on the desired closeness to the ground truth). Open Image Denoise internally builds on top of Intel Math Kernel Library for Deep Neural Networks (MKL-DNN), and fully exploits modern instruction sets like Intel SSE4, AVX2, and AVX-512 to achieve high denoising performance. A CPU with support for at least SSE4.2 is required to run Open Image Denoise. 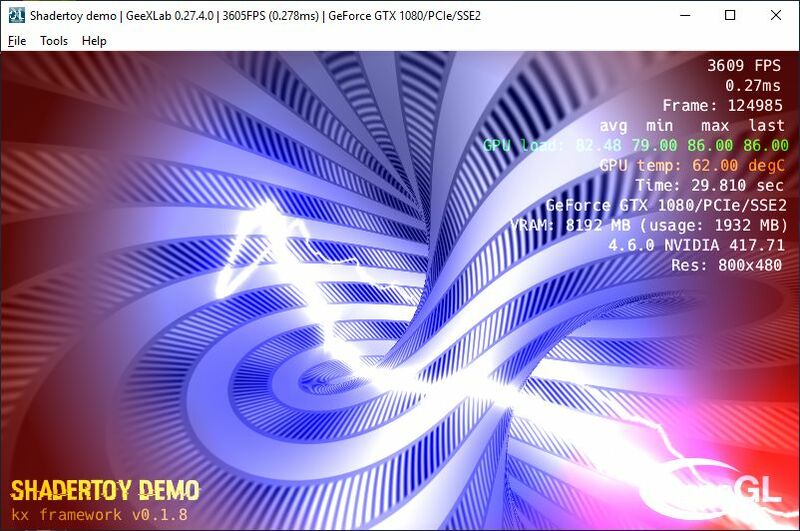 This new version of Falcor, a real time rendering framework for prototyping, has been updated with a new code sample based on DXR (DirectX RayTracing). This article shows a trivial implementation of a ray marching, the goal is to go a little bit beyond simple spheres I rendered in my raytracer project. I do not aim at getting photorealistic images, I want to have a simple stuff applicable to video games. As always, we only have a bare compiler at our disposal, no third-party libraries are allowed. I don't want to bother with window managers, mouse/keyboard processing and so on. The result of our program will be a simple picture saved on the disk. I do not pursue speed/optimization at all, my goal is to show the underlying principles. 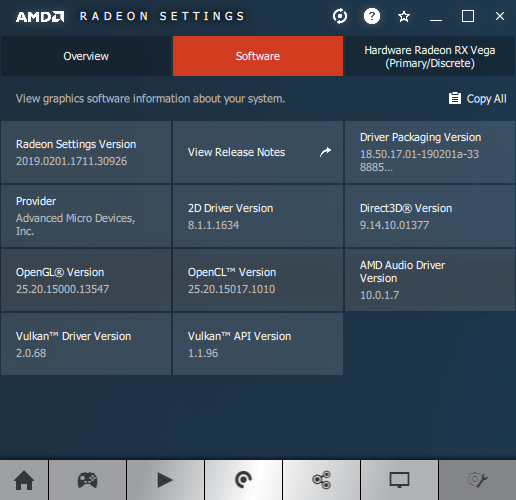 Geeks3D's GPU Tools / Re: MSI Kombustor v4 (0.6.3.1) mising dll? I'm working on a new update of Kombustor and the 32-bit version will be fixed as well. 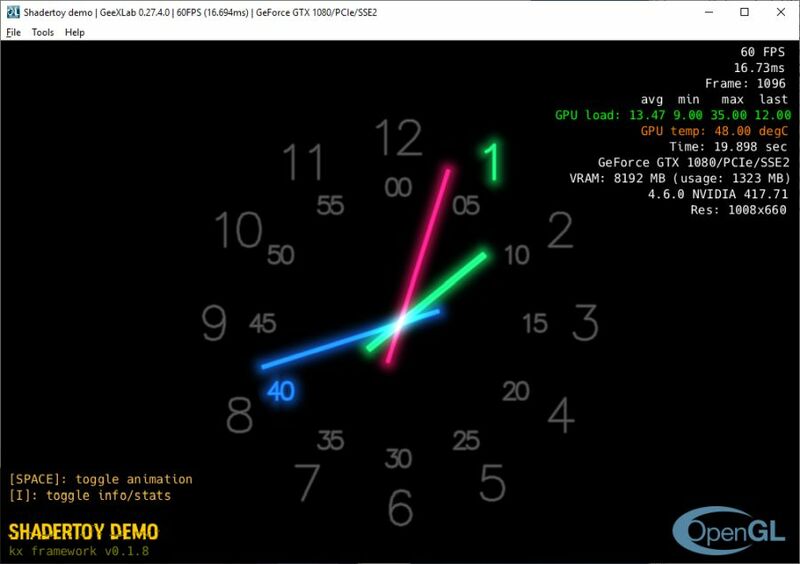 Demo Register Allocation ported to GeeXLab. NUM is a constant that can be changed in the pixel shader source code (line 75 in the XML demo file). - NUM = 8192 => 0(47) : error C5041: cannot locate suitable resource to bind variable "data". Possibly large array. 0(47) : error C5041: cannot locate suitable resource to bind variable "data". Possibly large array. 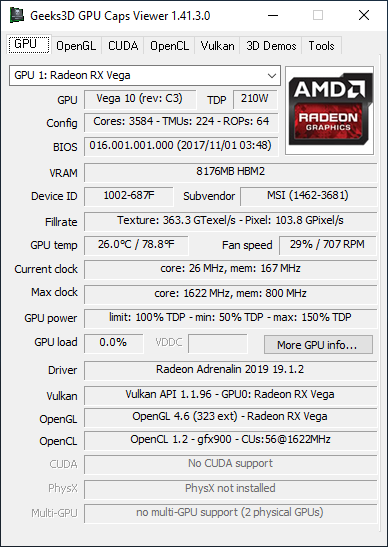 Tested on a MSI Radeon RX Vega 56 on Win10 64-bit 1809. - Vulkan 1.1.96 + 70 device extensions. GTX 1660 Ti siblings are also expected, a little later: the GTX 1660 (1280 CUDA cores, $229) and the GTX 1650 ($179). 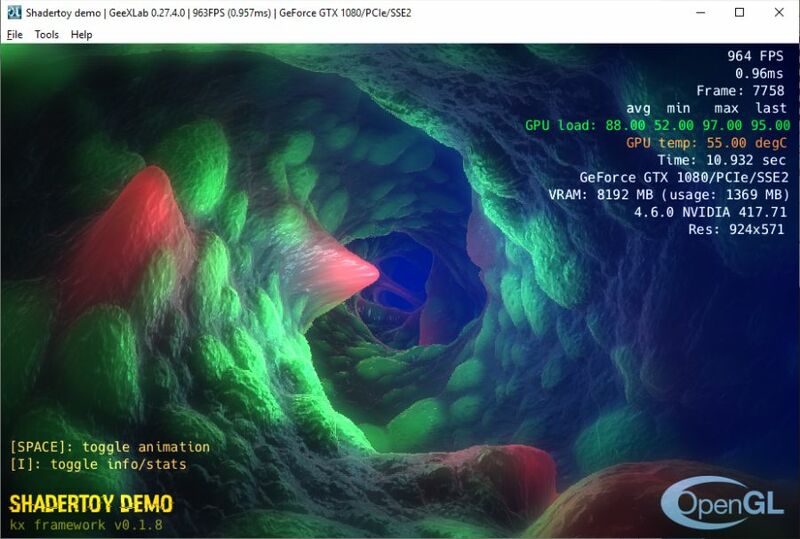 LunarG releases new SDKs that include the most recent extensions plus the new Vulkan GPU-Assisted Validation feature and the Vulkan Configurator application. Much of the documentation for this SDK is contained in the Getting Started Guide, found in the Documentation directory of the SDK and on the LunarXchange website. - The Vulkan validation layers have added “GPU-Assisted Validation,” which checks for out-of-bounds access to image/texel descriptor arrays at shader execution time (aka “Bind-less” validation). This feature is disabled by default. See the SDK “Validation Layers” documentation for details about this feature and how to enable it. 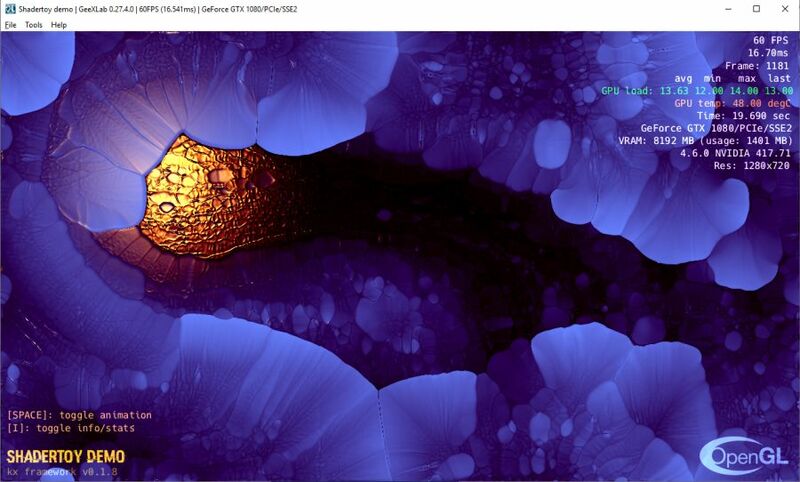 - SDK 1.1.92 introduced the Vulkan Configurator, a graphical application that allows a user to specify which layers will be loaded by Vulkan applications at runtime. SDK 1.1.97 combines vulkaninfo, vkvia, and the existing layer management functionality of vkconfig into one convenient tool. Note this new functionality may not be available on every platform. 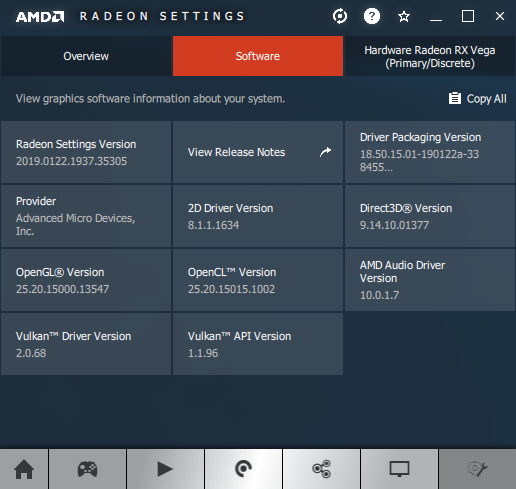 Additional information about the enhanced Vulkan Configurator can be found here. 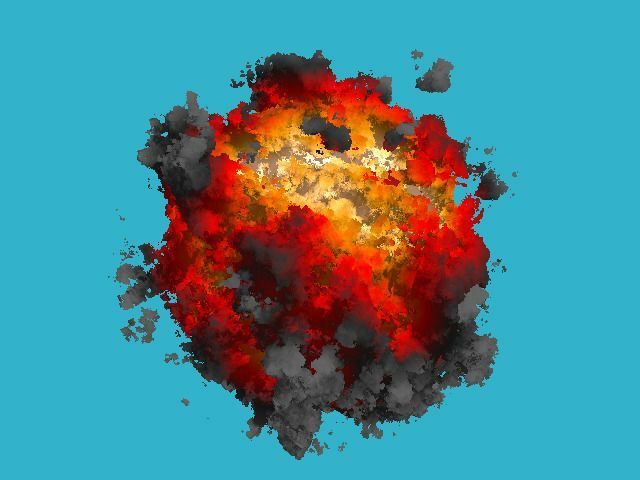 - The SDK now includes a chunked version of the Vulkan specification and can be found here. - Since the release of SDK 1.1.92.0, the following extensions have been added to the Vulkan spec and may be supported by a Vulkan device. To query extensions available to a given physical device, call vkEnumerateDeviceExtensionProperties()or contact the hardware vendor. 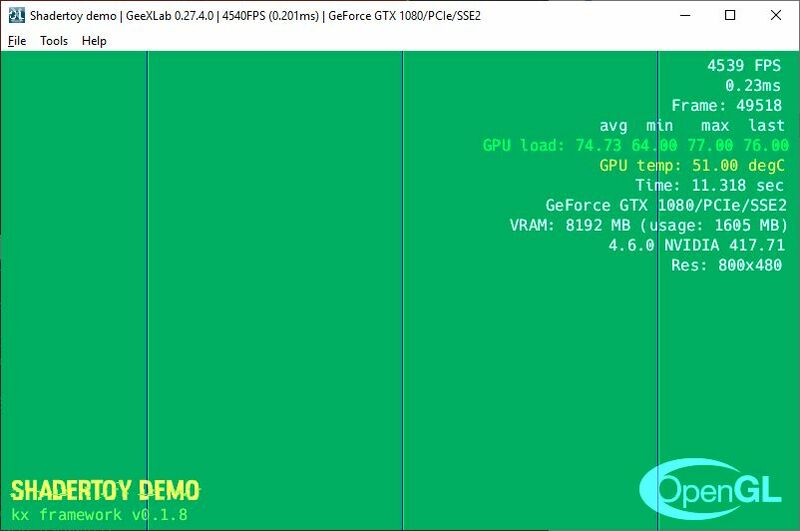 Demo Procedural BVH ported to GeeXLab. Here is a new demopack for GeeXLab. 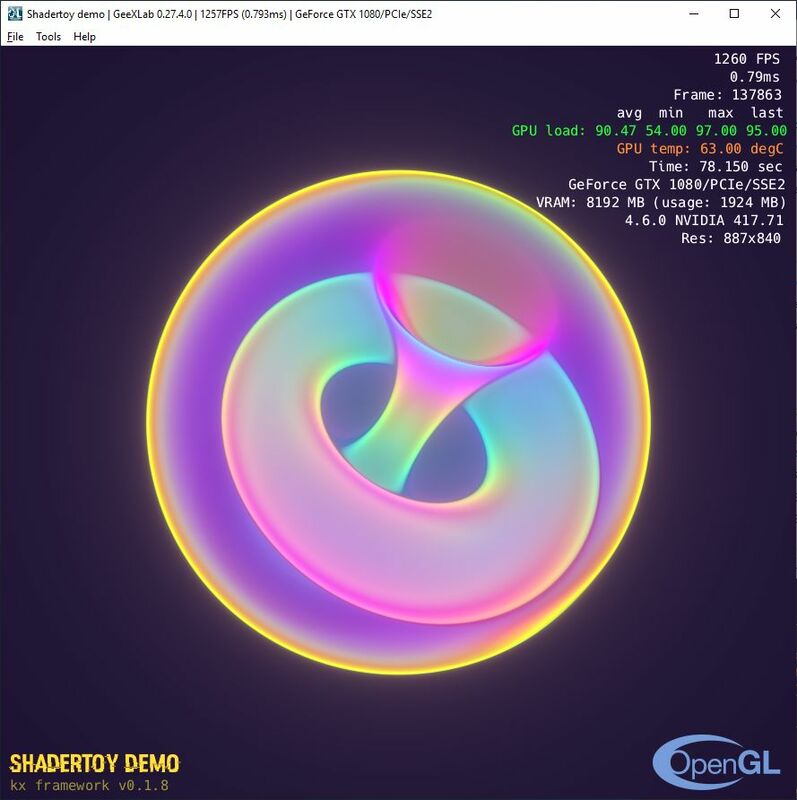 The pack contains all Shadertoy demos from the full code sample pack: old demos (OpenGL 2.1 in gl-21-xxxx/ folders) and recent demos (OpenGL 3.2 in gl-32-xxxx/ folders). 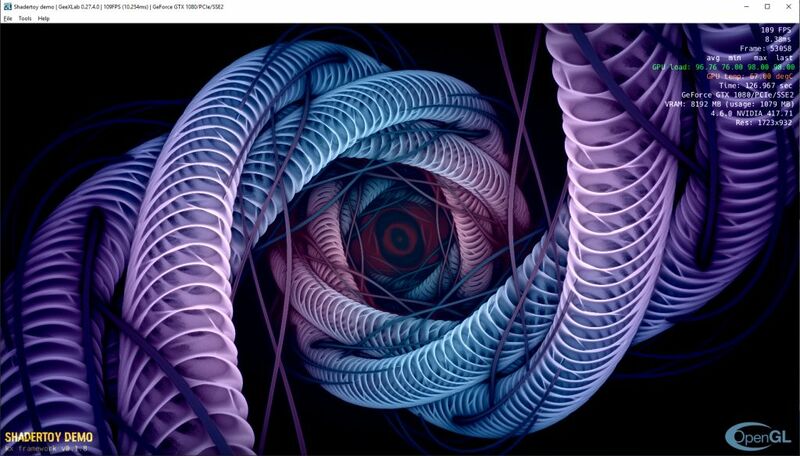 There is also a special folder for Raspberry Pi (gl-21-shadertoy-rpi/). - unzip the demopack where you want. - drag and drop a demo (.xml file) into GeeXLab.